The college provides adequate infrastructural support for all such student-activities which would provide them with physical fitness & personality development and cultivate in them sportsman spirit, team spirit, leadership and talent. 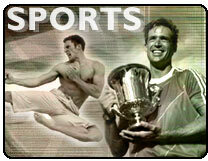 There are in-campus activities like cricket, basketball, volleyball, football, track field, athletics and indoor games. Wide participation of students is encouraged. Students are also encouraged to participate in inter-colleges, open, invitation and other external tournaments, sports meet, cultural and other competitions. Besides the indoor games facilities, a high tech Gymnasium is already operational in the hostel to promote physical well being and healthy recreation of students. Many other facilities are being planned. Different education tours are arranged for the overall development of the student. Industrialist, Business managers, Economist for seminars. Different cultural programs are organized for the social development of the students and also encourage student to participates in them. College celebrates Independence day, republic day and other religious festivals. In the process of ‘Learning with fun’ and to keep the student knowledge updated, the school organizes excursions from time to time places like Jaipur, Agra, Fatehpur -Sikri, Mathura, Varnidvan and various other tourist sports of India so that our children can get acquainted with air our rich culture & heritage.